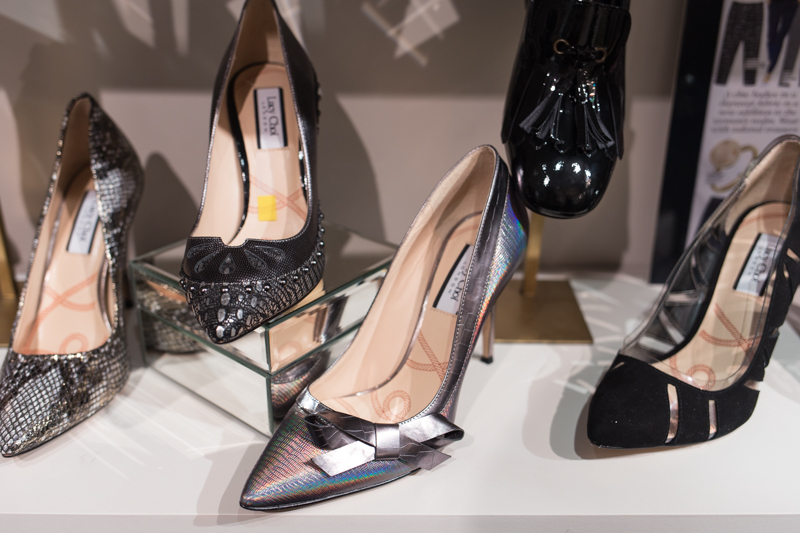 If you hadn't gathered by the name of my blog- I like shoes. Or heels to be more precise. Putting on a pair of heels and I instantly feel more confident. Psychological- most probably. But they are my tangible boost. So when two of my favorite things- food and shoes, came together I just had to check it out. 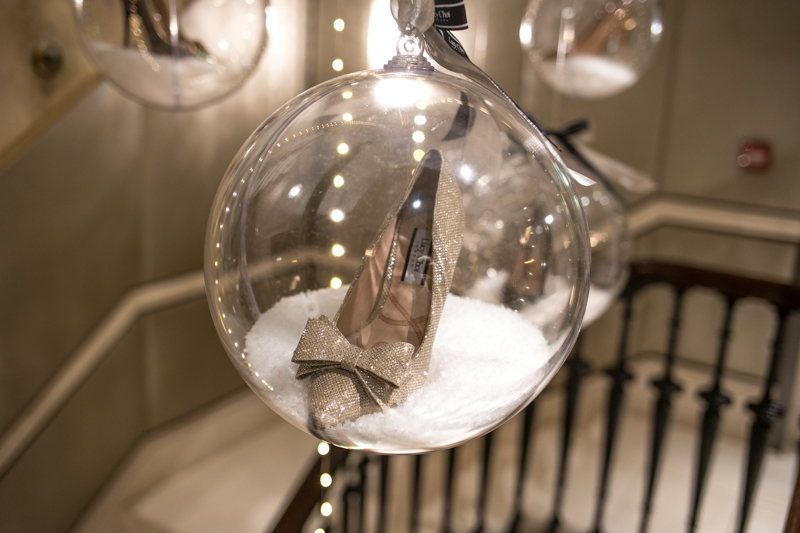 Lucy Choi has created a festive installation at the St James' Hotel and Club, so to mark the occasion I spent a night eating and trying on shoes. I can think of worse things a girl can do. I actually don't live to far from Lucy's boutique in Connaught village, so I've walked past a million times, always gazing in the window but never actually stepping in. Inside though it's a beautiful boutique; crisp white dressers, ottomans and gilded mirrors. This balances out the loud, colourful designs. Now if you aren't familiar with Lucy Choi, I think we need to address the elephant in the room. Obviously she is keen to step out into her own spotlight, but for the record her uncle is Jimmy Choo. No explanation needed for who he is. Although speaking to her, not once in the entire night did she mention this- it was only Google who told me- so she is very keen to make a name for herself purely based on her own merits. 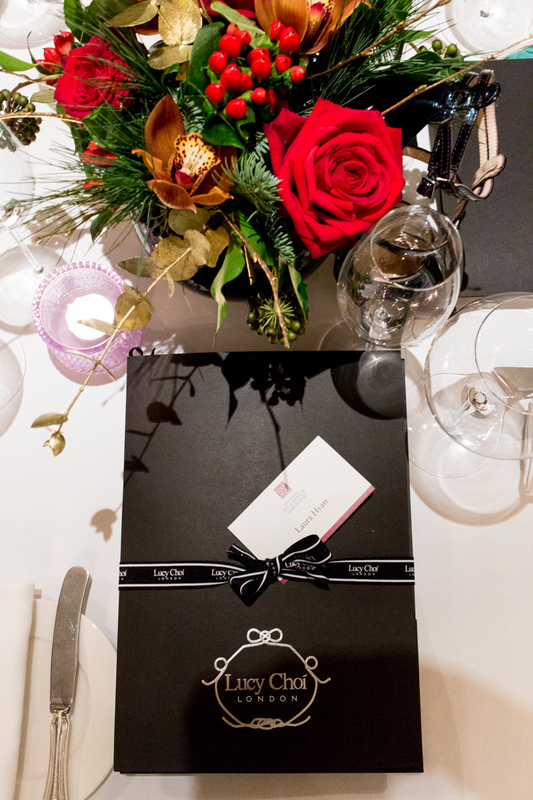 Her designs are glam, glitzy and come with a certain "I've arrived" statement. Now that is my type of shoe! Although she does say that her shoes are inspired by the two Kate's. Kate Moss and Kate Middleton, so there is something for everyone. I did pick up a pair though which I just love. It's one of these three above. Can you guess which ones? 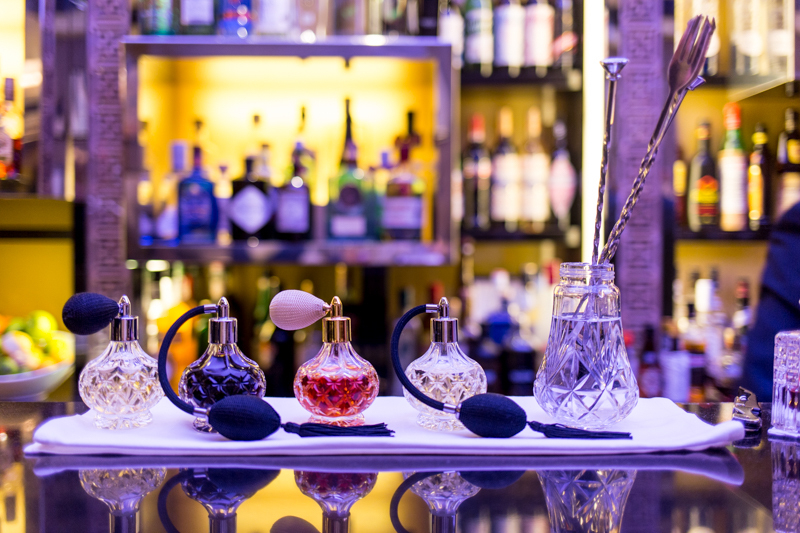 After finally choosing which ones to get, and practically being dragged away from the store, it was into a taxi and on to St James Hotel and Club. If you remember my Small Luxury Hotel tour post then you might recognize the hotel. But this time, they've spruced up the hallway with Christmas decorations. But not just any decorations- Shoe decorations. 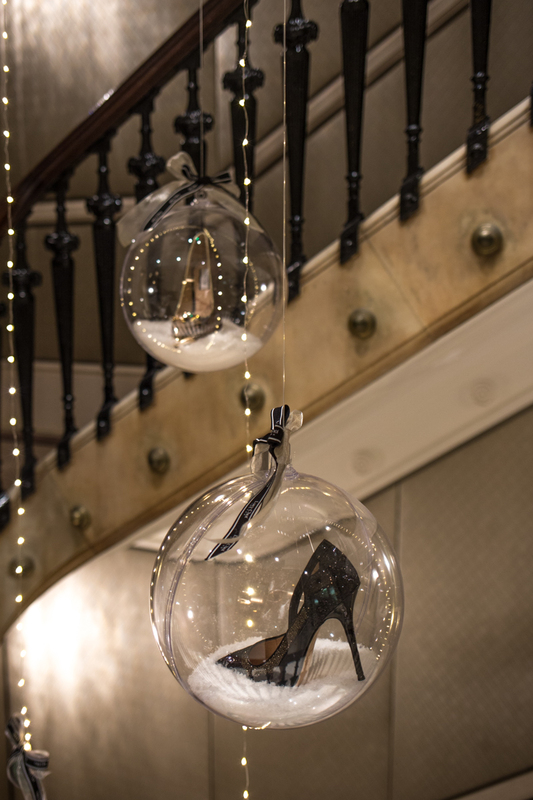 More specifically Heel Baubles! I want these on my tree! 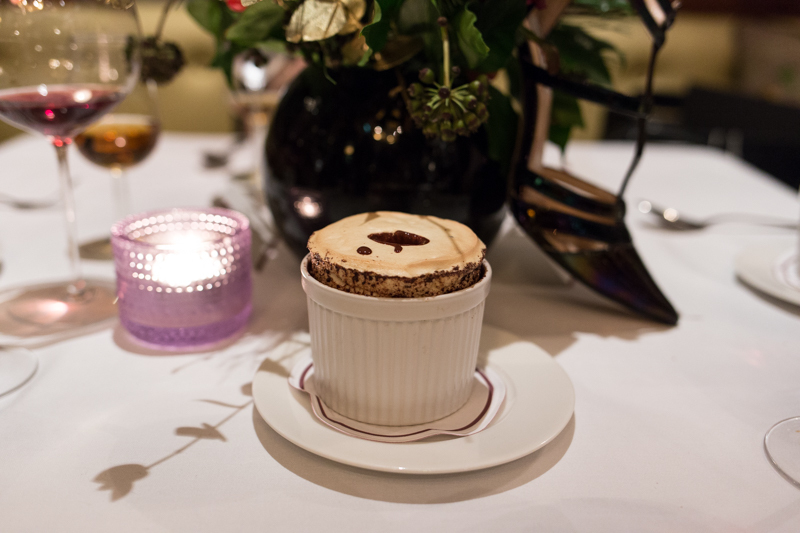 William Drabble a Michelin Starred chef himself has created the most intimate, British hideaway. Traditionally British, yet without the ponce you might presume. 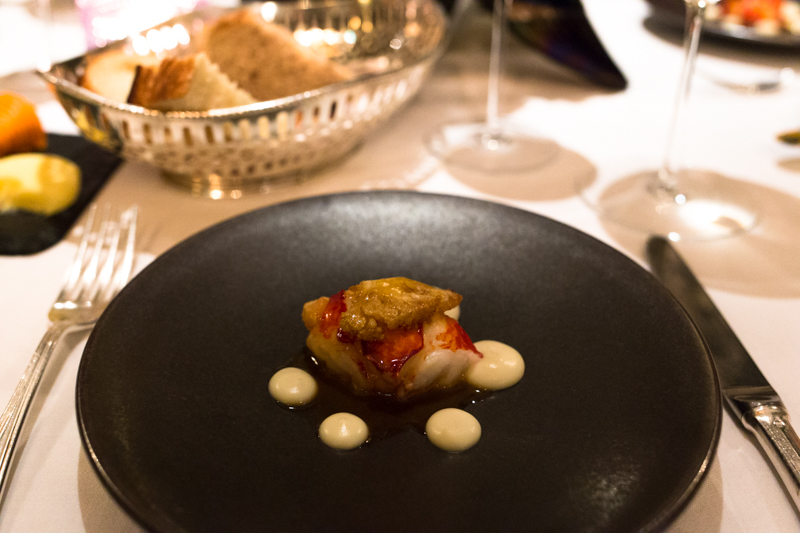 We started with Native lobster tail with cauliflower purée and lobster butter sauce. William said that he hand picks every supplier from the British Isles and will ring them every morning to make sure his produce are in transit. These particular lobsters had been caught that very morning. 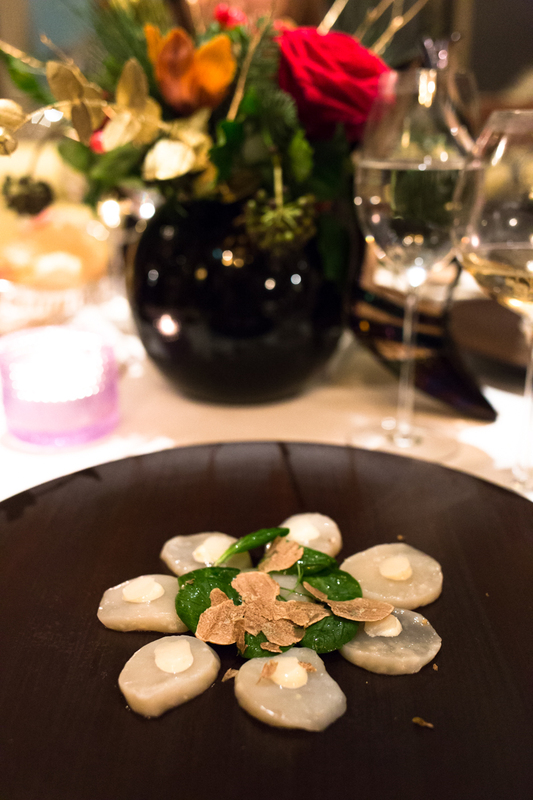 Next was a Carpaccio of hand dived scallop with Jerusalem artichokes, truffle vinaigrette. Anything with Scallops and truffles and I'm sold. Fresh yet with the right amount of tangy made them a perfect dish. Finally for the savoury, I had griddled fillet of seabass with braised Jerusalem artichokes, wild mushrooms, parsley purée, red wine and Port jus. It is actually rare that I have fish, and is never something I actively have off a menu, yet I will admit I was pleasantly surprised by the flavors. 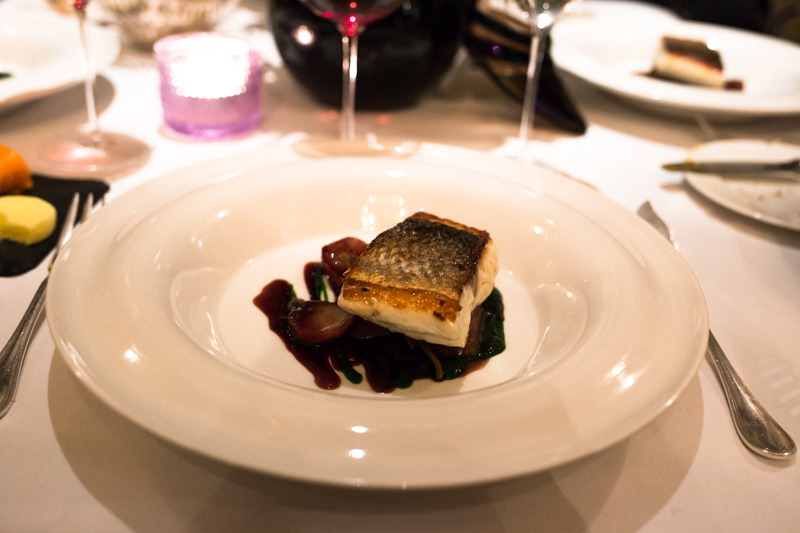 The red wine and port jus was so rich it made for a great contrast to the seabass. Something which I thought was spot on. Heels and food are my two weaknesses, so get both coming together was a triumph. 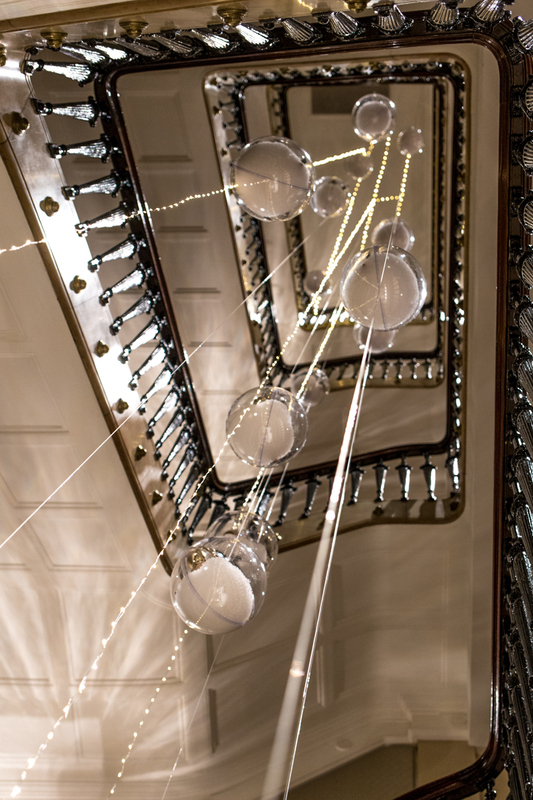 I'd certainly recommend heading down to St James' Hotel and Club for dinner and checking out the installation. And of course, if you love heels like me, I'd add a new bullet point to that Christmas Wish List.